Flowers abound and birds’ spring melodies fill the air. 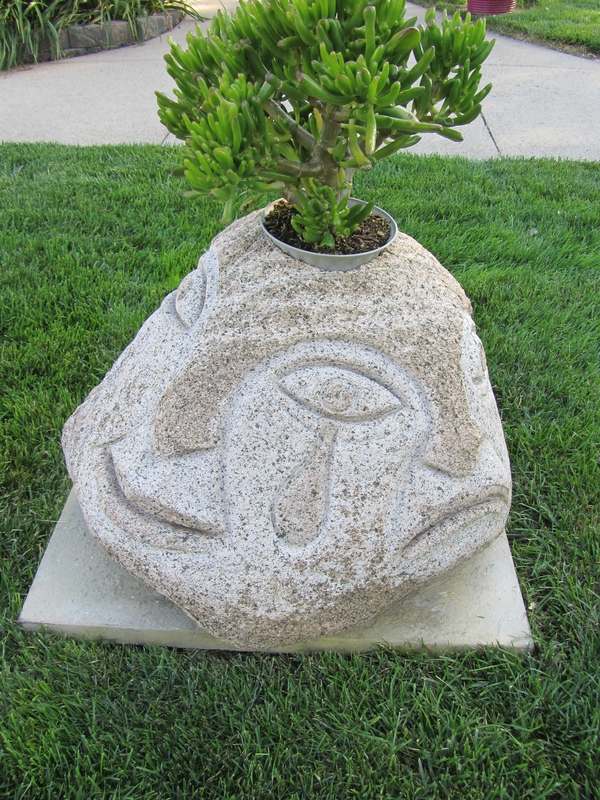 It’s a great time to enjoy plants and share landscaping ideas. Thanks for your visit and sharing Plant Exchange with others. See you next week! Ann Menke of Yankton has an eye for uncluttered and dramatic use of color as she landscapes her yard. 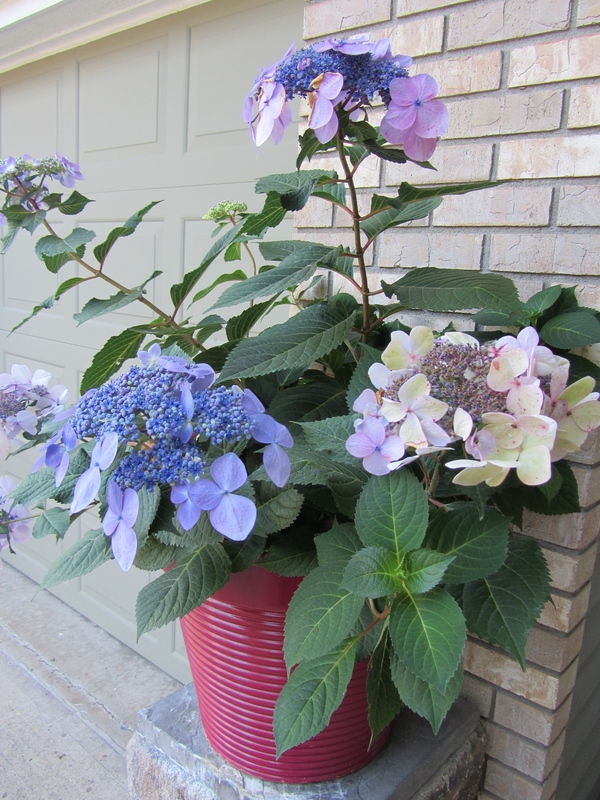 Her “Twist-N-Shout” hydrangeas in large planters are traffic stoppers. 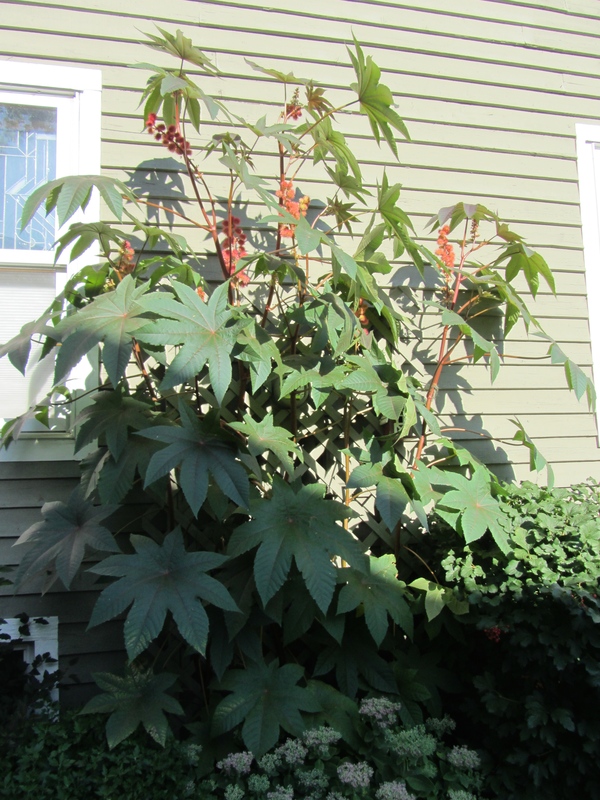 She started caster bean plants from seeds indoors and watered them well as they grew to twelve feet high during the season. Here they serve to hide a utility box while they display shape and color on a blank side of the house. Don’t forget there are dozens of topics with ideas on the right side your Plant Exchange screen.